Have you ever witnessed your browser homepage change on its own to some off-color site which you never visited and your desktop containing one (or several) programs which you don't recall installing? If so, this is usually the work of what is termed as 'adware' – a type of malware which promotes online ads and thereby helps bad actors make some easy online money. The Internet is filled with adware which hijack your PC(s) for profit and are mostly hidden within free downloads. The moment PC users like you install one such infected free download, the adware would start bombarding your screens with online ads which are not only annoying but can also affect your PC's performance. Sometimes they take a much more sinister form than this. The typical adware is usually harmless although can be very annoying, intrusive and can have an impact on your PC's performance. It's bad effects end here. Simply put, adware is an additional component attached to free software which feeds advertising to your PC(s). They are usually responsible for conducting 'guerilla or hidden marketing' which helps the creators of the adware make some easy online money. Adware cannot be easily removed or deleted from your PC(s), because they usually integrate themselves with your PC in a manner that exceeds the average user's technical capabilities. What's worse is that the present-day adware can prevent even the seasoned users from accessing system areas which need to be accessed in order to delete the offending program. But like mentioned already, adware can take a more sinister form than this. There are some adware which track PC user's activities so that they can feed targeted ads tailored to meet the PC user's requirements. These are the worst and the most dangerous type of adware, as they don't stop at displaying annoying ads but go a step further and spy on the user's activity. In fact, such an adware can also be called a spyware since it's tracking the user's activity to generate targeted ads. Some of the worst examples of such spying adware include capturing of keystrokes or screenshots and sending them to remote attackers who hope to get at the user's sensitive information like user ID(s), passwords, credit card numbers, social security numbers, including the general web browsing pattern. Many malware protection tools are available in the cybersecurity market. Some of them available for free. If you use one of these, adware infections will not affect your PC. But you have to be careful while choosing the protection software. 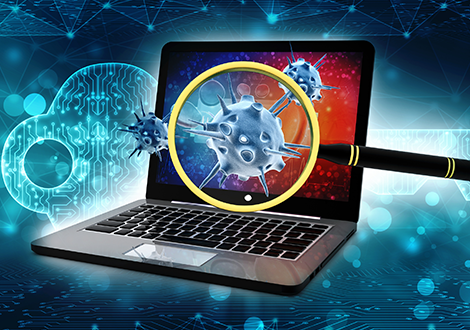 Only those which include the latest technology – like Containment, Host Intrusion Prevention System (HIPS) etc., - can offer the best malware protection which is necessary to keep your PC(s) safe against adware. Comodo Antivirus which comes equipped with impressive security features offers the best malware protection in the cybersecurity market. Features like Comodo's unique Default Deny Approach for checking unknown applications, Containment for running and testing unknown applications, Host Intrusion Prevention System (HIPS) for PC protection, and Viruscope for monitoring the various processes which run on your PC, the chances of malware like adware infecting your PC(s) are very less. Default Deny Approach - technology unique to and developed by Comodo which ensures all files (be it malicious, good or bad) are denied entry to critical system files and folders until they prove themselves to be harmless. This is extremely useful to counter zero-day attacks which are usually unpredictable and therefore unresolvable. HIPS and Viruscope - Host Intrusion Prevention System (HIPS) which impose security rules for preventing malware intrusion and establishing an intrusion prevention system. And Viruscope for monitoring system processes and stopping or undoing any malicious activity which might be infecting one of these processes. Cloud-Based Malware Analysis - cloud-based system scans to detect if a given file is malware or not. Another useful provision for combating zero-day malware. 24/7 Available Support* - Comodo Internet Security (CIS) users are also bestowed with the privilege of seeking the support's assistance anytime. All PC users have to do is just give us a call and our support team will be glad to help you out (available only with priced CIS editions). And Much More* - apart from this, there are several other technologies which come equipped with Comodo Free Antivirus which tackle malware as well as zero-day attacks effectively (available only with priced CIS editions).